← The Calgary Stampede is Here! Calgary’s housing market continues at a healthy and balanced pace. The number of single family homes and condos sold in June 2011 were both up 30% from the same time a year ago. Sales were also up by 6.5% over the last month. Continued economic optimism and price stability are contributing to a healthy and balanced housing market in Calgary. The number of new listings in June 2011 declined 12% over the same month in the previous year. The average price of single family homes is holding relatively steady. The Single family average price for June was $479,692 - down two per cent compared to the average of $489,403 reported in May 2011 and up one percent compared to June 2010. Average condo price went up by 2% compared to last month and up 1% compared to June 2010. An Improving condo market has been the trend for the last few months. 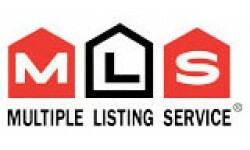 See the complete Calgary Real Estate Report June 2011.